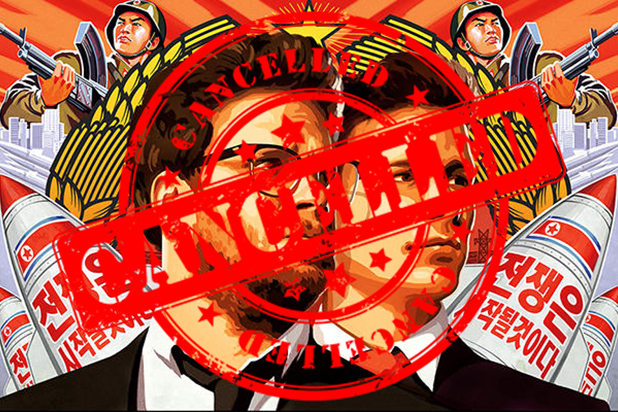 Sony Pictures decided to cancel the release of the new film, The Interview― what a disgrace. This decision is contemptible; plain and simple. Sony should not have cancelled the film release. The Interview has been courting controversy since it was introduced, as it is a film in which the main plot involves assassinating the current-leader of North Korea, Kim-Jong Un. Keep in mind that the film is a comedy portraying the concept in a satirical fashion, ultimately making a mockery of the whole concept. Of course, the only source of controversy to the making and release of the film was North Korea. It’s not surprising that Un had such a strong reaction to the film since it depicts a successful plot to assassinate the North Korean dictator and also makes a general mockery of him― in reality, he is an easy and deserving target for mockery as the ridiculous, delusional, fascist, narcissistic, maniacal, grotesque piece of worthless scum that he is. Recently, Sony Pictures was the victim of a massive hacking incident and as of December 18 U.S. officials are confirming that North Korea is responsible for the cyber-attack. But is anyone really shocked by this? The hackers threatened that theaters would be the targets of terrorist attacks if they were to screen the film (directly alluding to 9/11 in order to stir up more fear). Due to the threats, major cinema chains began backing out of screening the film in their theaters and Sony Pictures finally decided to pull the film all together. All of this has a very familiar stench; not too long ago did we witness the Danish Muhammad cartoon controversies. Back in 2005 a series of editorial cartoons depicting the Muslim prophet Muhammad were published. After a few months of complaints and petitions, early 2006 saw the rise of violent protests by Muslims around the world and threats of violence against anyone that showed or published the images. The contemptible actions of these people coincided with the contemptible choices of the majority of news and media outlets to self-censor and black-out, blur, or not feature the images all together. Many justified their choice by saying that they were doing so out of respect, but let’s be honest and admit that these choices were made out of fear. They submitted to the threats and potential violence and they didn’t show the cartoons to the public. This is almost exactly what is happening in the case of Sony Pictures and North Korea; a submission to fear. You may be wondering what the big deal is since it is just a movie, right? Wrong. This is a big deal. Sony Pictures, and the cinema chains, caved-in to the demands of enemies and criminals. What message does this send to the perpetrators? If they want something, all they have to do is threaten with violence and their demands will be met. These are especially dangerous grounds to be on with a country that we already have problems with and with whom we are bound to have more, probably worse, problems with in the future. North Korea was offended by the movie and didn’t want it released. So what, who cares what totalitarian North Korea approves of? It is true that threats of violence stemming from North Korea were made. But on what grounds do we have to take these seriously? Are we really to expect that North Korea is going to initiate a war, all because of a comedy movie? This is not a matter of taking safety precautions or being respectful, this is a matter of principles; valuing freedom of expression and denouncing censorship whether imposed by others or by self. In this case, we have censorship being demanded by North Korea under the threat of violence and Sony Pictures complying by deciding to self-censor. We should not support this decision by Sony Pictures, and we should not respect it. It was a cowardly decision made at the will of an oppressive foreign government threatening violence against innocent people. It is in these situations where we must be most willing to defend free expression, for free expression has no value if it is always at the mercy of threats and violence.